Marie was a very senior Dachshund brought to our shelter last fall. This little old girl broke our hearts since we felt she needed and deserved to be in a home. 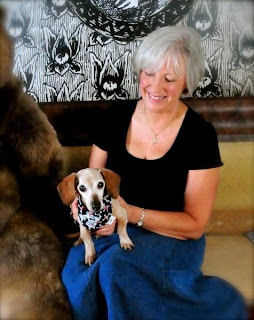 Fortunately our friends at Coast to Coast Dachshund Rescue stepped right in and found her a wonderful foster home. Her foster mom was smitten with her and became a foster failure (that's what we call it when the foster can't part with a pet and adopts him/her). 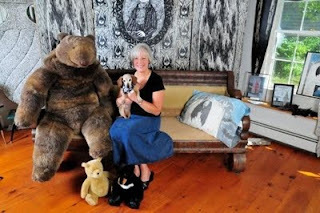 Here's Marie modelling at a fundraiser for the Edward Gorey House this past August.